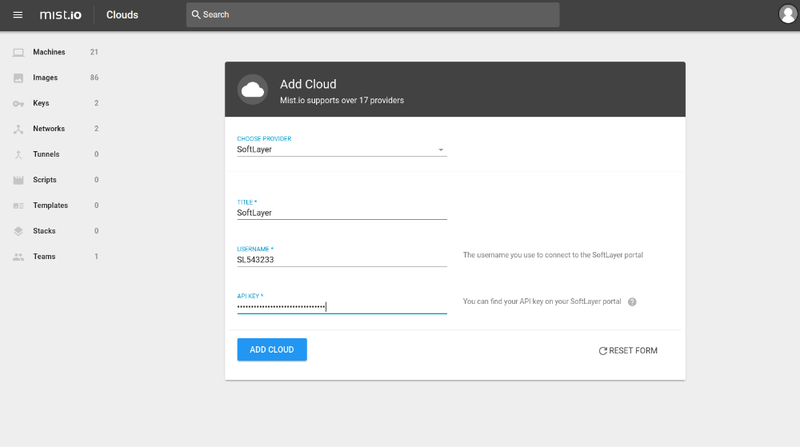 To add it in Mist.io, click on "Add cloud" and select "SoftLayer" on the drop down list. 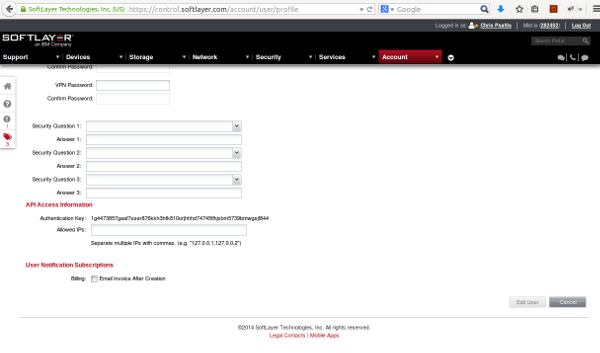 Mist.io will try to authenticate with these credentials and if they are valid the SoftLayer cloud will be added. 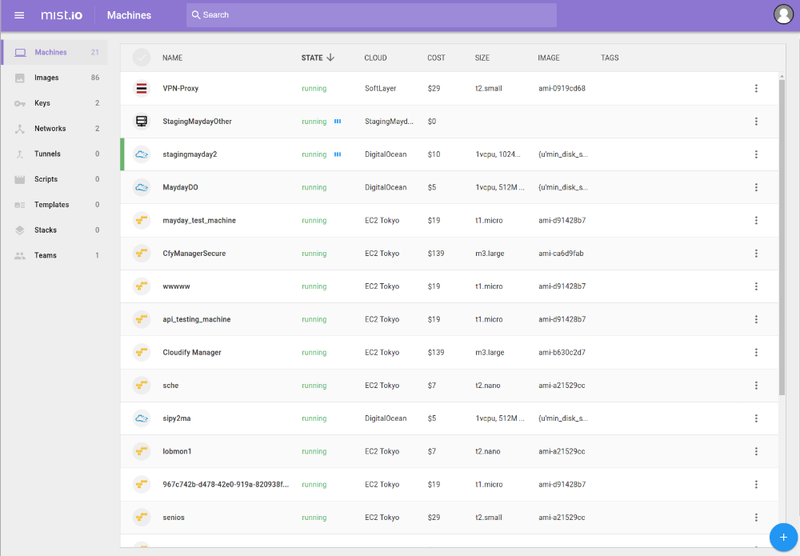 Clicking on the Machines link, will show you a list of all your VMs in SoftLayer.